Find Laurel Highlands' hidden locations, unusual attractions, unique landmarks and more. Throughout the Laurel Highlands' history, our area has been home to a number of historic events, battles and firsts, leaving a trail of landmarks and interesting relics throughout the region worth a stop. Explore our interactive map below and read on to find the Birthplace of the Banana Split, an alien UFO and many more places you can drive by (or see with a short walk) throughout the Laurel Highlands. Did you know? The Laurel Highlands is home to some historical firsts! McDonald&apos;s iconic Big Mac was first served in Uniontown in 1967. 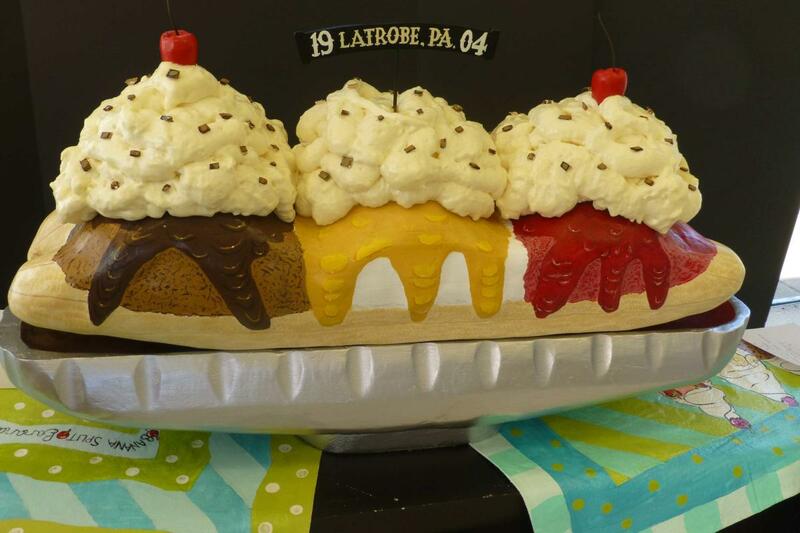 The banana split was invented in Latrobe in 1904, and the city also claims the first professional football player. It&apos;s easy to know when you&apos;re in the Laurel Highlands thanks to these landmarks! 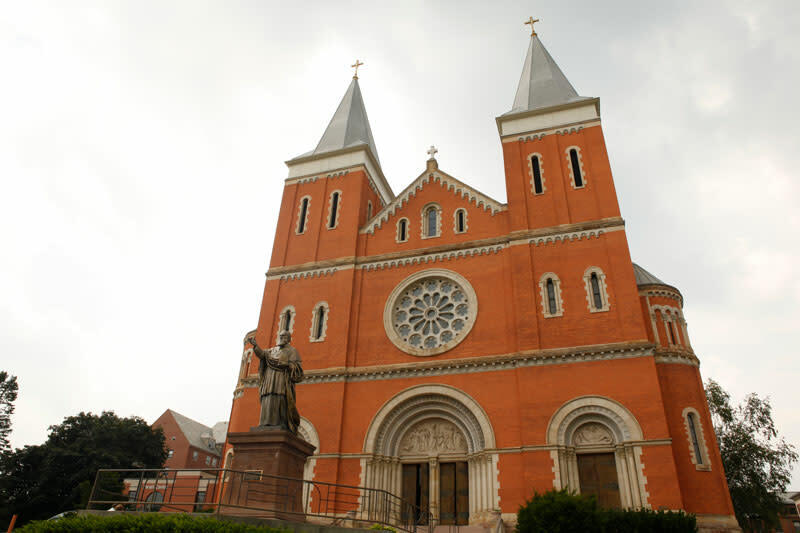 Drive by one of the oldest Basilicas in the U.S. at Saint Vincent College, check out the 60-foot cross at Jumonville and ride the giant slide at Mammoth Park. If you love the paranormal, there&apos;s a lot of spooky sights to check out in and around the Laurel Highlands. 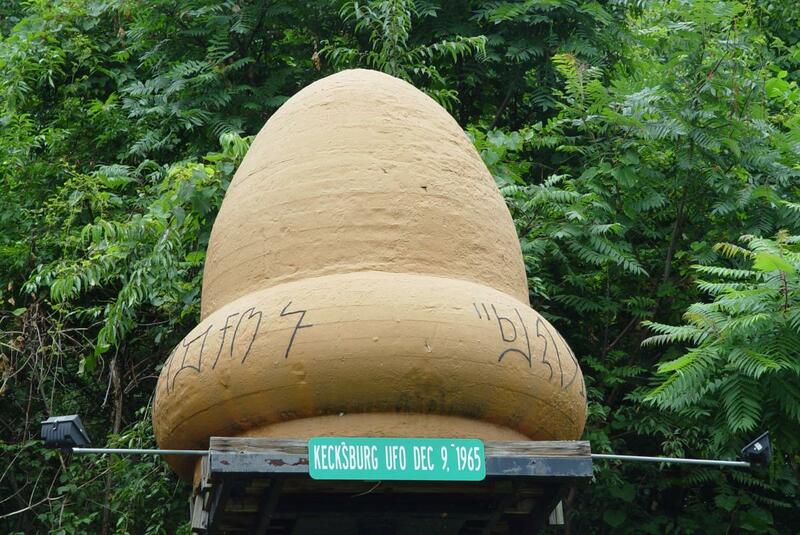 See the fabled crash sight of the 1965 UFO in Kecksburg. 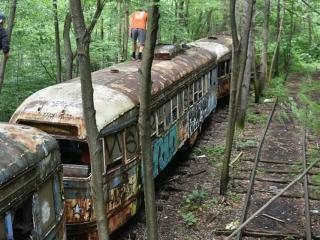 Explore a trolley graveyard and stay overnight in a haunted house in Windber. Then, check out the places where horror classics like Dawn of the Dead and The Silence of the Lambs were filmed. 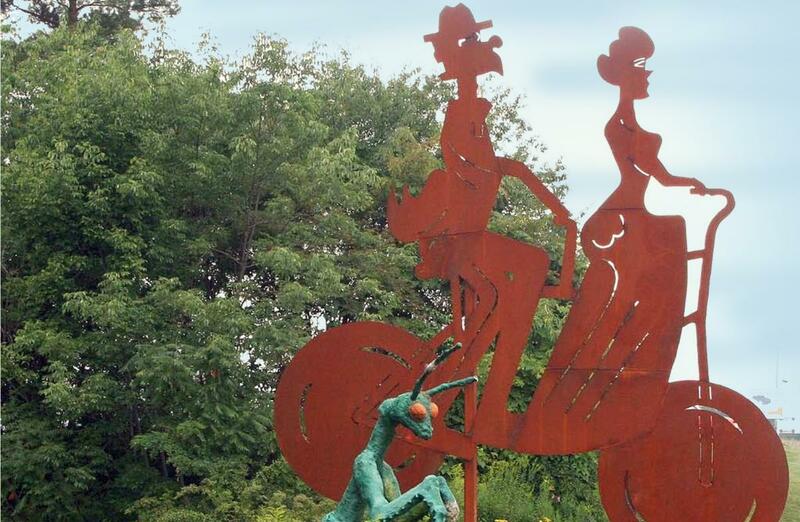 Created by local students, these towering sculptures of a 1920s Packard, 1940s Bennet gas pump and bicycle are worth seeking out as you travel the Lincoln Highway Heritage Corridor. 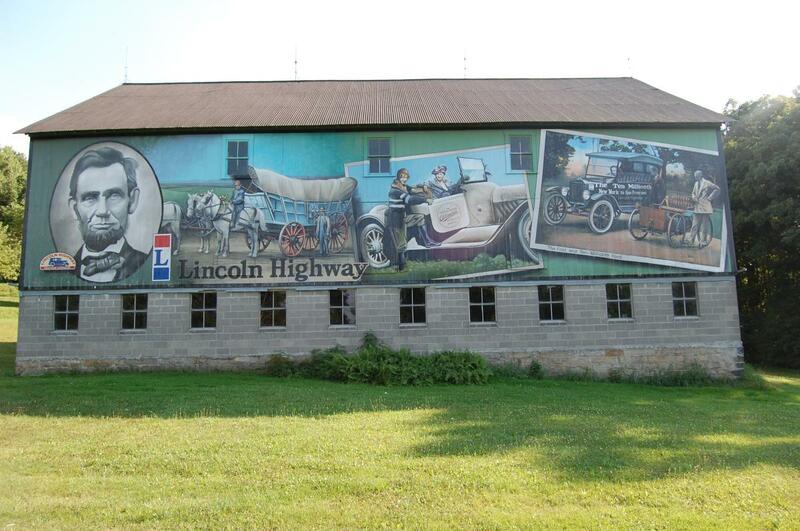 As you cruise the Lincoln Highway, be on the lookout for these murals painted on the sides of barns, storefronts and buildings.